There comes a time when every good story must come to an end. Sometimes a series ends without much fanfare, or in much the same way that it started, maybe even bringing the story full-circle. Some series end abruptly to the outcry and dismay of fans, while yet others are simply left hanging, the story perpetually suspended. Last, though not to dismiss the myriad variations and flavours of other endings, there are those stories that end in a cannon's roar or a shower of roses. Harry Potter and the Deathly Hallows is the latter. After such a long run you really can't blame the Harry Potter series though. This is a series that started in my elementary years and concluded after I left High School. For some people the series is so inexorably entwined in their associations of reading that they can scarcely imagine a world without it. So when I say that the Deathly Hallows ends with a flourish and a swell of brass I do not do so begrudgingly. In order to discuss the ending, however, we must first start from the beginning. Contrary to my previous habits with the Harry Potter series I started the Deathly Hallows on the tail of the Half Blood Prince (which I covered last week here) instead of waiting my usual 5+ years. There are several advantages to this, I discovered. Namely, it is much easier to recall what happened last book and it saves you a lot of time trying to recall who certain characters are (as well as what they did, what they look like, etc.). This is particularly a good thing because the Deathly Hallows drags out just about every character from the series at one point or another in its story. Seriously, the whole gang shows up for the final book, and even some of the earliest chapters are quick to pull out a whole slew of major characters. I should mention at this point that unlike Half Blood Prince I had somehow managed to avoid any real spoilers for the final book. Don't ask me how this happened. If any book has a lot of spoilers for the series this would be it, yet somehow only the vaguest details of the the Deathly Hallows' dirtiest secrets ever made their way to me. That said, people die in the final installment. Don't worry though, I won't spoil who. Much like the other books Harry starts at home and then progresses from there into his journey. It is a familiar starting place for readers of the series. If I recall correctly, glimpses of Voldemort aside, every book starts with Harry living in the Dursley's home. Yet, unlike the other books Harry doesn't make his usual pilgrimage to Hogwarts. In fact, the Deathly Hallows stands as a stark contrast to how much has changed in the Harry Potter world. 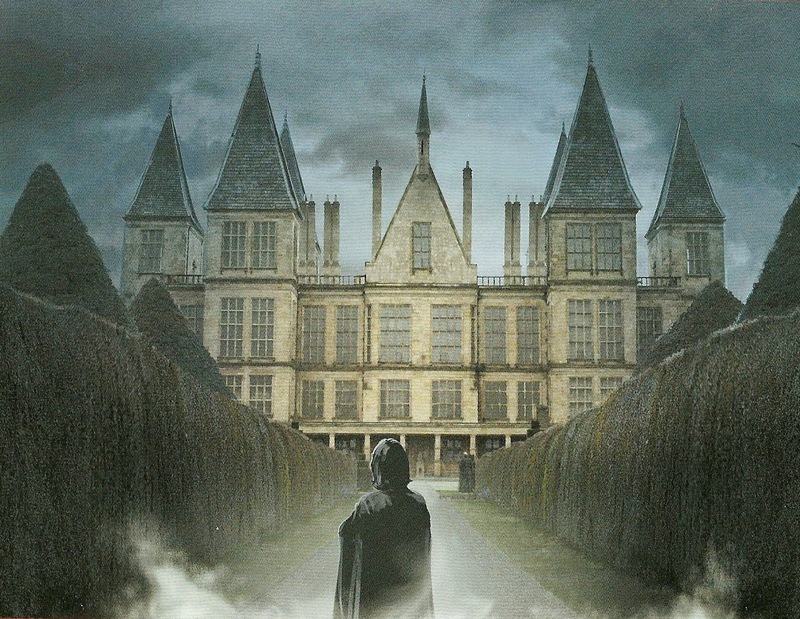 The magical world is now at war, Hogwarts is no longer a refuge, and in a strange twist the Dursley home is, for the first time, more haven than prison. Even Harry's reunion with friends quickly turns grim when they come under attack shortly after meeting up. It's the same familiar characters and places, only darker and harsher. In some ways I found it quite refreshing, although for others I can see how the Deathly Hallows might have ruined some of the 'magic' of the previous books. Unlike the earlier installments Harry and his comrades felt disconnected from the action at large this time. Much of the story was spent following Harry on the run, and while it was interesting it also lacked that feeling of being involved in the bigger picture. In previous books Harry and his friends were operating as faces in a crowd and had class and social obligations to balance in addition to their person quests. The character's daily interactions while at Hogwarts added a lot of flavor and little details that helped flesh out the environment and their situation. In contrast much of the downtime in Deathly Hallows is spent just attempting to stay occupied (when they aren't foolishly wearing extremely dangerous dark artifacts around their necks that could just as easily been stashed). Harry, Ron, and Hermione are frequently cut off from the outside world and their friends for most of the book which does nothing to build the usual sense of grandiosity. Even when they're taking part in daring forays into the public it never has that same heroic turnabout feel as their past misadventures. And while Harry has always been moderately self-aware he simply isn't sufficiently introspective enough to carry the story long periods of time. On the other hand there is a much greater focus on linking together pieces of Harry's past, including uncovering more about the enigmatic Dumbledore. This is something I was quite thankful for as Dumbledore has consistently remained one of the more mysterious and, personally, the more intriguing characters in the series. Whereas all other books had been spent building up the legend of Albus Dumbledore, of making him superhuman, Harry Potter and the Deathly Hallows spent every opportunity breaking down Harry's hero and presenting a more grounded, a more well-rounded, and therefore a more flawed portrait of the iconic man. In some ways it is almost as if JK Rowling regretted creating such a perfectly idealistic character with such unattainable attributes. Then again perhaps she had that planned from the beginning. But by diminishing the glorified version of Dumbledore the story reveals how Harry had never really taken the time to examine Dumbledore as a person. And not only that, but by deconstructing Dumbledore, JK Rowling inclines the reader question the only other character that might have outshone Harry as the true hero. Instead of a martyr and a mastermind you are left instead with two very human characters who, in the end, are just searching for answers. I don't believe Harry and Dumbledore were the only intended targets in that regard either. Many of the characters from the Weasleys, to Severus Snape, and from the 'Blacks' to Neville Longbottom received treatments that grounded their personalities and delivered a much deeper character profile. It is in keeping with the attempt to present more grounded characters, not just in Dumbledore, but in all the heroes of the story that I believe led to the death of many people's favorite characters. Obviously, for the finale you always want to raise the stakes a little, but while the deaths served that end I found myself disappointed in how little impact the deaths had in furthering the themes in the Deathly Hallows or in impacting the story. Arguably, the lack of attention many of the deaths received could be a commentary on the futility/pointlessness of dying, but I don't see any other connecting threads that might suggest that. Although I will admit, altogether the deaths served to increasingly isolate Harry and increase his already significant resolve (and ire) toward Voldemort. Still, even in that regard I am still a little hurt and confused by one of the deaths toward the end of the book. The character in question was particularly memorable for me and while the death could serve as an expression of the unpredictability of combat, or the dire situation Harry faced, the minimal mourning and reflection that followed made the death seem rather hollow. Somehow the death was just swept along into the tumult of events that encompass the final encounter. Before I touch upon the encounter as whole, though, I have one last detour to make. Now when I mentioned earlier that I felt JK Rowling was attempting to provide more nuanced and deep portrayals of familiar characters I must add one exemption. This does not, in any way, apply to the antagonists. The villains, in nearly every regard are just as shallow and one-sided as ever. You may remember how I remarked in my previous entry how Tom Riddle made a much better, or a least a much creepier villain than Voldemort. The reason being that Tom Riddle was a more complex and covert character whose intentions were not easily predicted. All the big villains, Fenrir Grayback (the evil werewolf), Bellatrix Lestrange (the one who killed Sirius Black), Crabbe and Goyle, and even Dolores Umbridge are all just as shallow and straightforward as they ever were. Each villain (or villainess as the case may be) is defined by one or two outstanding character traits or motivations and never really benefit from any redeeming qualities. Nor do the villains come back from the other direction and become so vile that you can't help but despise them. Of the bunch only Dolores Umbridge comes anywhere near garnering significant levels of reader ire, and I suspect that is mostly just residual hate from Order of the Pheonix. Even Voldemort doesn't come across as any more complex or ruthless than he ever was. Maybe I'm the only one this bothers, but to me a good bad-guy (ie: a complex, ambiguous, hate-able, or imaginative villain) is important in driving a story revolving around titanic power struggles between good and evil. And speaking of power struggles, we come at last to the final confrontation; overall I was happy with how the final conflict turned out. After years of building up the tension between Voldemort and Harry, the last climactic clash is, in essence, the whole reason why Harry Potter and the Deathly Hallows even exists. The last act brings out all the big name characters for a momentous siege-style battle. While the presence of so many familiar characters standing together really helps drum up the valiant last stand it also doesn't take great advantage of having so many powerful wizards on the scene. Again, I will refer to my previous post and point out that JK Rowling seems to be great at action scenes, but doesn't really know how to nail a good fight scene. The entire last siege is chaotic, with numerous facets of Voldemort's forces weaving in and out of Harry's perspective. Spiders scale the walls, giants thunder by, explosions rock the premises, and stray spells from the surrounding battles help make for some truly magnificently crafted scenes. Yet somehow most of the battles just end up as the wizard equivalents of a slug-out with just a handful of spells being cast and countered. Only one battle, comes to mind as being well choreographed and that was between Professor McGonagall and another character who will remain unnamed in this post. McGonagall's duel, short-lived as it was, is the type of fight I expect between powerful wizards. Much like my gripes about Felix Felicis, when you have so much potential to work with it seems an utter shame to stick to the more mundane. As for the actual final battle between Harry and Voldemort? I don't want to spoil much, but aside from one mildly surprising and somewhat surreal moment, it went about how I expected it to go. Once again the scene crafted around the showdown was amazing and atmospheric, even if I found the duel a little lackluster. There is another surprise along the way towards the end that keeps things interesting though. Without spoiling anything it's hard to really express the way in which the story keeps building and building toward a moment so inevitable that the follow through is more an expression of satisfaction than predictability. If the end of the Deathly Hallows were a piece of music it would be a wind ensemble piece that dwindles down to a somber false ending, only, after a few moments of silence it would swell abruptly into a triumphant final reprise that ends on a long sustained note and drum-roll. And then balloons and confetti would fall from the ceiling and soothing elevator style music would usher people out during the Epilogue. Overall it's a fitting conclusion to the Harry Potter series of books. A lot of loose ends and missing pieces are filled in during the final installment and despite the nagging feeling that there was just too much to fit into one last book, it still turned out fairly cohesive. If I had to pin down the one thing that really separates the feel of this book from the rest I'd say that the story lacks a single unifying thread to tie everything together. In all of the other books there is an underlying mystery that drives the story forward. Sure, in Deathly Hallows there are the Horcruxes that fulfill a similar role but without a deeper level to the puzzle the story came off kind of meandering. Harry and his crew already knew 'what' and 'how' for the most part, they simply lacked the 'where'. So there really wasn't much to figure out in between actually looking for the objects. In the end I'd have to say that the greatest contribution of Harry Potter and the Deathly Hallows was not the conclusion in and off itself. No, I'd have to say it was not the story that resonated most heavily with so many people, but the world instead. The Deathly Hallows relinquished the missing pieces that would allow many readers to find their own context within the world of Harry Potter. The wizarding world is a literary triumph in that it is just ordinary enough that every reader can imagine their own place within it, but fantastic enough that you never forget just how amazing it is. Through Harry himself each reader was able to experience the world first hand. Then with the conclusion of Harry Potter and the Deathly Hallows a single unifying core was established from which hundreds of stories could spring forth. With Harry's story complete there is proper context and reference material for anyone to become a part of the wizarding world. JK Rowling has created an enduring world that resonates with readers all around the world, and now that the story has concluded the fate of the world is, seemingly, now in the hands of the fans. For now I'm simply happy I can say that I'm, at last, finished with the series. There isn't much quite as annoying as knowing, in the back of your mind, that you've left something unfinished. With the Harry Potter series finally over at least I have the reassurance that, even if it seems you might never finish something, if you stick with it you can eventually get through it. That said, Harry Potter and the Deathly Hallows marks book four in the No Book Unread project. With any luck I can continue to pick up the pace. Only, roughly, 196 more books to go! Here's hoping the next series doesn't take me 5+ years to complete. Coming up next, one of my wife's favorite authors: R.A. Salvatore. I figured I'd follow up JK Rowling with another author who doesn't like to spell out their first name. It seemed appropriate.